BOOK A CHICAGO OHARE LIMO. What Is the Easiest Way to Book Legendary Airport Rides near Chicago? The simplest way to get yourself a black car booking near my location is right in front of your eyes! Does a fabulous transfer to your desired destination without any surprises sound like a dream? 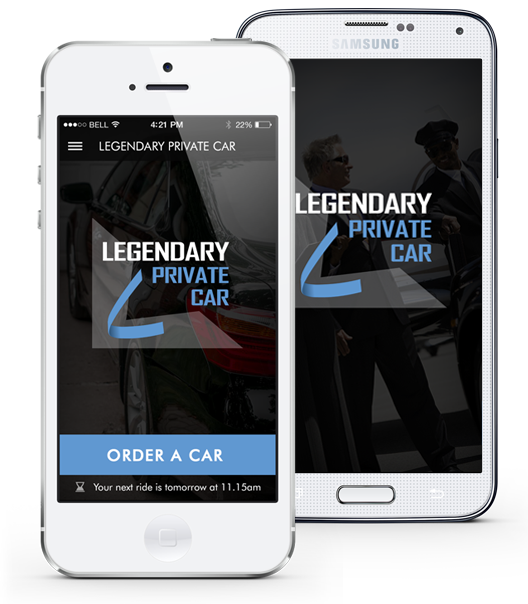 With legendary Private Car App-it will become your reality! Manage your Chicago Corporate Car Service near Airport to O’Hare, Midway, Palwaukee or any other location in the Chicago Metropolitan Area with a click of a button. What is the best way from North Shore to the airport? How to get from Lincolnshire to McCormick Place? How many miles are there between your current location and Chicago Union Station? Legendary team will find out answers to those questions so you don’t have to! Clients can now get in touch with their chauffeur easier than ever before. It takes only two clicks to contact us, and your chauffeur nearby will receive text message instantly. Any traveler can also call the assigned driver directly. How to Book My Chicago Executive Ride? 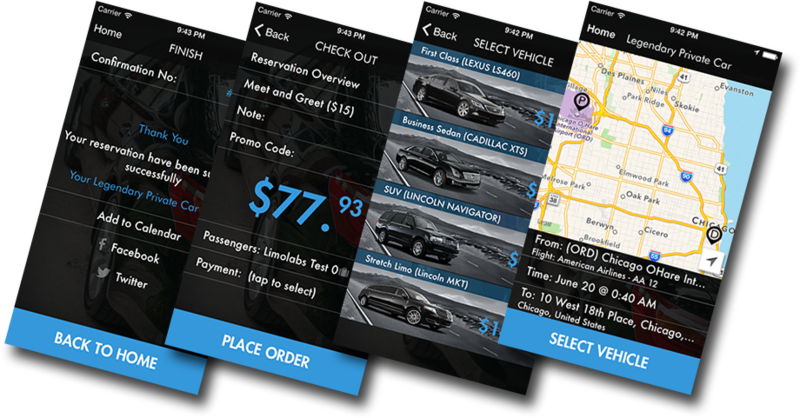 The user-friendly and intuitive design provides you with precise and relevant information to make your next Chicago airport black car service reservation. Legendary booking engine offers the most transparent reservation platform with all inclusive rates and no hidden costs or fees. Download it and see for yourselves! Bon Voyage!